Today's challenge #123 is being hosted by the lovely Celine and she has challenged us to make cards and projects that are 'Mainly Red'. 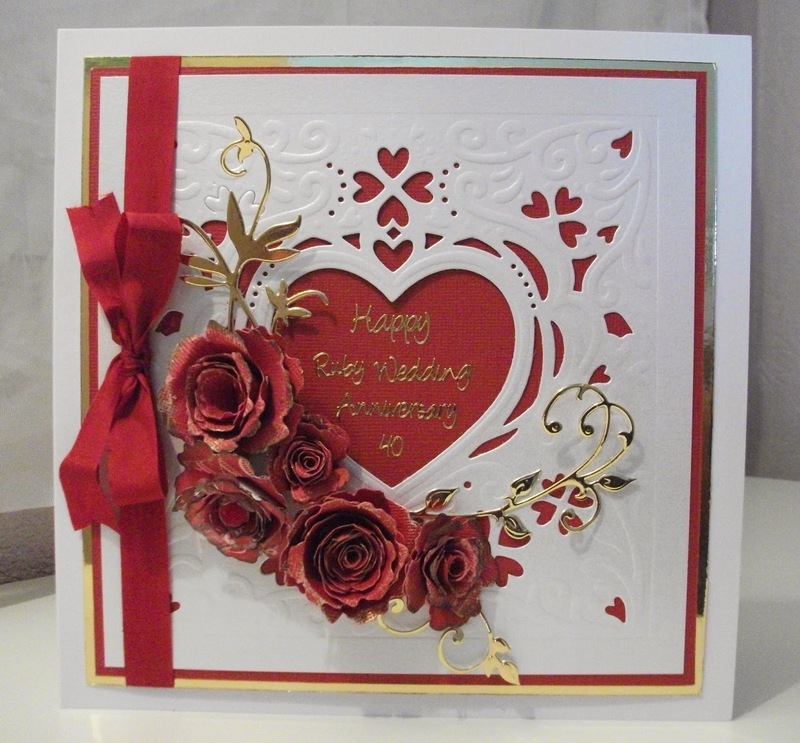 Well conveniently for me a friend asked me to make a card for her to give to her parents who are about to celebrate 40 years married that's their Ruby Wedding Anniversary ..... and what colour is Ruby ... you're right it's RED. Now I am going to have to unpack he rest of my crafty stash as I have loads of cards to make for family birthdays and a wedding ... more about that to come in a later blog. Then of course it will be Christmas cards to make .. I have to start early as some of my cards have to travel to Australia, California & Thailand!! Hey there Annie!! How was your visit?? Your card is so very LOVELY!! The reds/white/gold combo is beautiful...your friend must have been very pleased! !